S.A. Lipton, Ca2+, N-Methyl-D-aspartate Receptors, and AIDS-Related Neuronal Injury. S. Gandy and P. Greengard, Processing of Alzheimer A(-Amyloid Precursor Protein: Cell Biology, Regulation, and Role in Alzheimer Disease. S.M.J. Dunn, A.N. Bateson, and I.L. Martin, Molecular Neurobiology of the GABAA Receptor. D.D. Mott and D.V. Lewis, The Pharmacology and Function of Central GABAB Receptors. M. Davis, The Role of Amygdala in Emotional Learning. A.A. Farooqui and L.A. Horrocks, Excitotoxicity and Neurological Disorders: Involvement of Membrane Phospholipids. E.T. Walters, Injury-Related Behavior and Neuronal Plasticity: An Evolutionary Perspective on Sensitization, Hyperalgesia,and Analgesia. Subject Index. 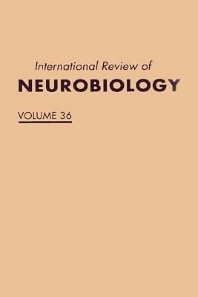 Published since 1959, this serial presents in-depth reviews on key topics in neuroscience, from molecules to behavior. The serial stays keenly attuned to recent developments in the field through the contributions offirst-class experts. Neuroscientists as well as clinicians, psychologists, physiologists, and pharmacologists will find this serial an indispensable addition to their library. Neuroscientists, biophysicists, neurologists, and psychologists.